Mike Dillon, Motel Radio and the Caesar Brothers’ Funk Box will headline the three music stages at the Freret Street Festival on Saturday. 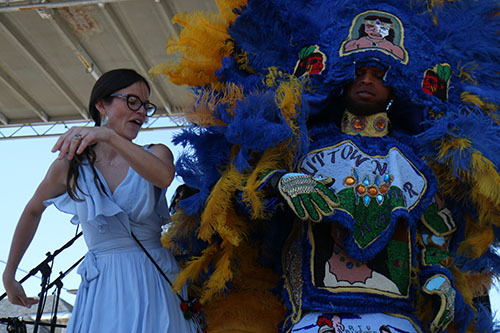 The festival, now in its 21st year, will run from 11 a.m. to 6 p.m. along the Freret commercial corridor from Napoleon Avenue to Valmont Street, starting with a second line by Mardi Gras Indians. Live music will play on three stages, and 150 regional vendors will sell art, jewelry, clothing and other items. The festival will also feature 50 food vendors, with a “food court” serving beer at each corner this year. Freret Street businesses will also feature Festival specials during the day. In the Company Burger parking lot, Zeus’ Rescues will have pet adoptions featuring animals saved from Puerto Rico by Steve-O (from the JackAss movie and TV series) and sent to New Orleans. A children’s area sponsored by the Junior League will be set up in their parking lot on Valence Street. The festival is free and will take place “rain or shine,” organizers say. For more information, see FreretStreetFestival.org.